Amara faces trouble and she uses a phone number given to her by a friend who has vanished. 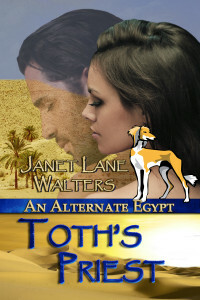 When she is offered the chance to be sent to an ancient Egypt, she accepts even though she must perform a task and risk losing her life. But here, she faces the same fate. She arrives and there is much she must learn before she can rescue a young man held by the priests of Aken Re.Namose was taken prisoner by Hebu, beloved of Aken Re, and forced to translate ancient scrolls giving Hebu some of the powers given to the priests of Toth by the Three of the Two Lands, Toth, Bast and Horu. After his rescue, further troubles arise. He and Amara must join their powers to save their land and friends from the evil Hebu.